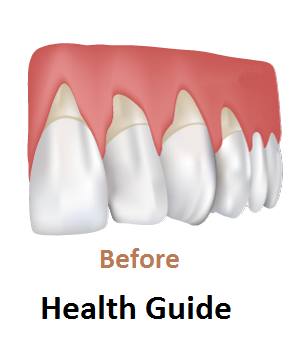 Gum disease, also known as gingivitis, is a very serious, yet often overlooked health problem. Initially it causes red, swollen, and bleeding gums. If left untreated, gum disease can lead to periodontitis, a very serious infection that destroys the soft tissue and bone that support your teeth, leading to tooth loss. Chronic periodontitis is very serious as it can lead to other health problems such as high blood sugar and increased risk of heart attack and stroke. In pregnant women it can affect the health of the unborn child and lead to premature babies. There are many factors that affect gum health such as smoking, heredity, and immune function. However, the most common cause of gum disease is poor oral hygiene. 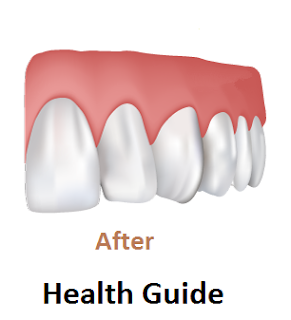 Healthy gums are ﬁrm and pale pink. If your gums are puffy, red, and bleed easily, see your dentist. The sooner you seek care, the better your chances of reversing damage and preventing more serious problems. Bad breath, known medically as halitosis, is a common condition that affects over 50 percent of the population. While it can be embarrassing and annoying, bad breath is not just a cosmetic problem—it can signify an underlying health problem. Approximately 90 percent of cases of bad breath originate from problems in the mouth. Poor oral hygiene allows bacteria to grow and feed on food particles in the mouth. Bacteria emit sulfur gases, which not only cause bad breath, but also damage the tissues in the mouth, leading to inﬂammation of the gums (periodontitis). If left untreated, the bacteria continue to grow and cause gum recession, tooth decay, and even worse-smelling breath. Coffee and alcohol cause dry mouth and allow odor-causing bacteria to thrive, avoid that. Minimize foods high in sugar (candy, pop, baked goods) as they promote tooth decay. Note: Garlic, onions, and spicy food are commonly blamed for bad breath. However, food is only a temporary cause of the problem. The food we eat is digested and absorbed into the bloodstream. Odors are transferred to the lungs and expelled by our breath and continue until the food is eliminated. Brush your teeth after meals to remove food particles, especially after drinking coffee or eating sulfur-containing foods such as milk products, ﬁsh, eggs, and meat. Antibacterial mouthwash and toothpaste can help reduce bacteria in the mouth and teeth. Avoid those containing alcohol as it can dry out your mouth. Avoid Smoking—tobacco is a major cause of bad breath, teeth stains, and gum disease. It also negatively affects the taste of food and irritates the gums. Vitamin C: Essential for healthy gums and teeth; levels may be deﬁcient in those with gum disease and in smokers. Dosage: 250–500 mg daily.